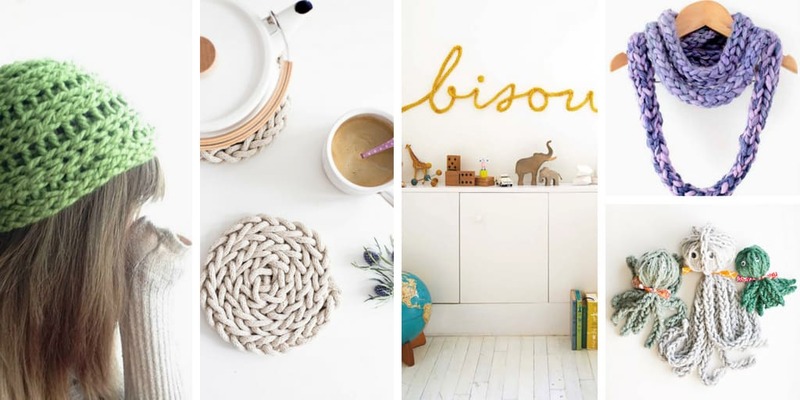 If you have never picked up knitting needles or a crochet hook, yarn can seem pretty intimidating. But finger knitting uses only your hands and fingers – with your fingers working as the “needles.” It is simple to pick up, fun to do – and can take the stress out of learning more traditional knitting and crochet techniques because you get to see how the yarn works in simple stitches, even though you are only using your fingers. Find the end of your yarn and hold it between your thumb and forefinger, leaving a tail hanging down the back of your hand. Wrap your forefinger with a circle of yarn, moving to the back side of your finger first and circling clockwise. Weave the yarn in and out of your other fingers from the forefinger to the pinky, creating a complete yarn circle around each finger as you go. At the pinky, wind a second yarn circle then work your way back to the forefinger creating 2 circles of yarn on each finger. Pull the bottom circle of yarn over the top circle on each finger to create a line of stitches. Repeat until your yarn rope is the length you desire. On your last stitch, clip the yarn 3-4 inches from the stitch and pull the yarn all the way through the last stitch. Weave in the tails with a tapestry needle. My favorite Finger Knitting Project! 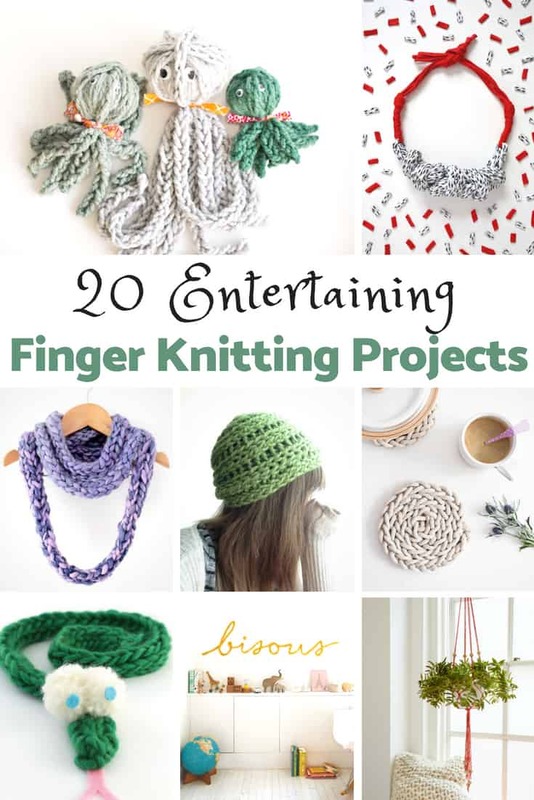 There are so many fun finger knitting projects listed below. But my favorite uses finger knit ropes created by my kids. I used a unfinished sign that I got from the craft store in the wood department. I painted it cream colored, then sanded the edges so it looks rustic. Once the paint was completely dried, I added the letters to the sign for the word “LOVE” leaving room for the missing letter. I wound the yarn ropes my girls created together and adhered them to the board with a glue gun. 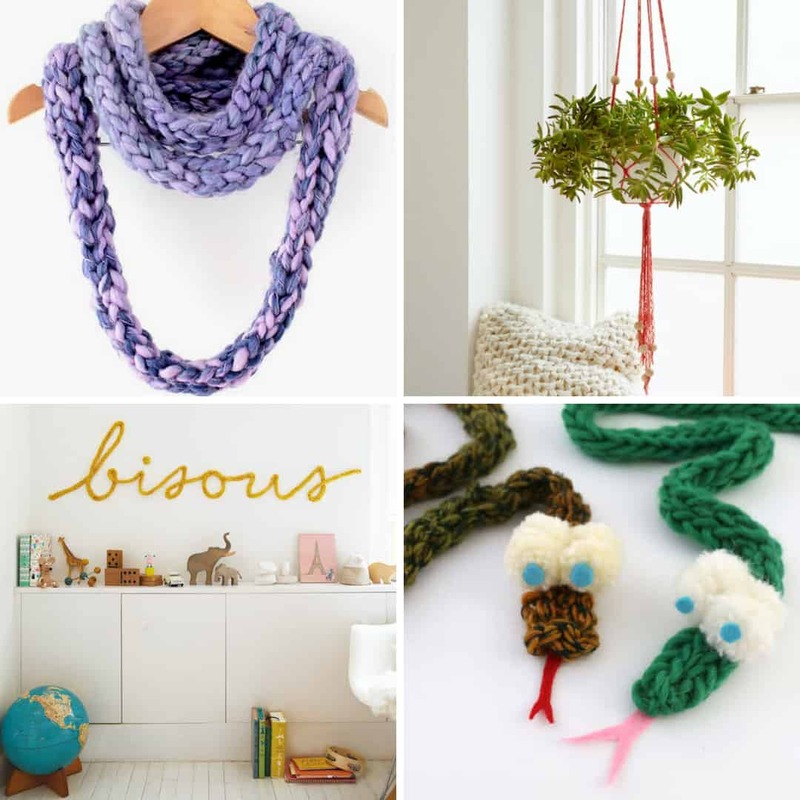 Looking for more beginner knitting and crochet projects? 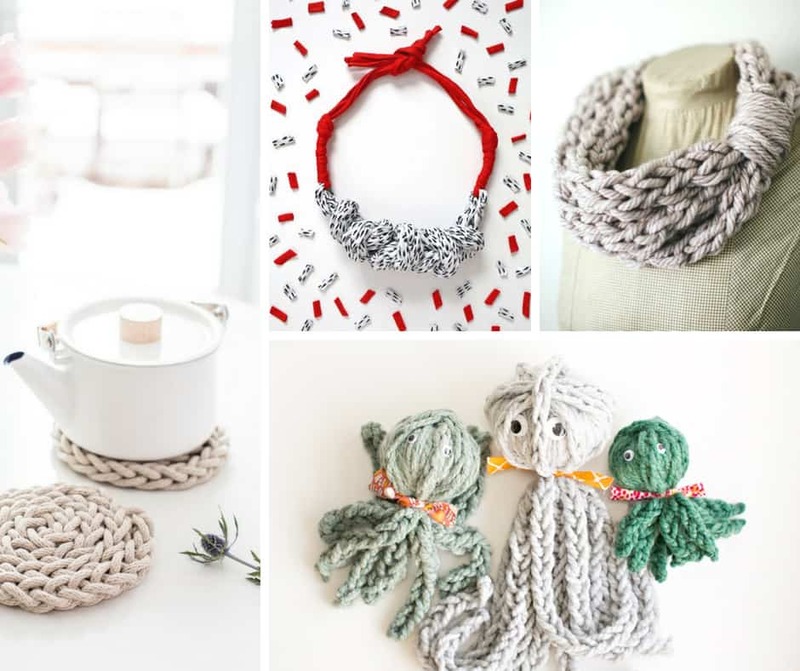 Here are great beginner crochet patterns to try. And this is the first blanket I ever made.